If you have a reason, it’s definitely the season—for a PC upgrade, that is. Perhaps ye merry olde desktop is struggling to keep up with the demands of modern, high-resolution games and media. Or maybe someone on your holiday gift list has a computer that needs rejuvenating. Rejoice! We have a PC upgrade to fit every budget. We set an upper limit of $300, but we did so just to cover some of our pricier recommendations. Most of these upgrades cost far less. Presented in order of the performance boost they provide, here are our twelve favorites. One for each day of—nah, I won’t say it. An SSD is our number one upgrade recommendation for the second year in a row, and it’s likely to remain so for the foreseeable future. Why? No upgrade provides a more noticeable, practical increase in performance than a fast SSD. Getting one is like buying a new PC without buying a new PC. Last year at this time, a top model would run you about a buck per gigabyte. This year the cost is 80 cents per gigabyte, and sometimes even less. Trust us, you’ll wonder how you ever got along without one. Tips: With most drives, more capacity equals faster performance, due to the presence of more chips and channels. Also, if you don’t have a SATA 6Gb/s connection (all good SSDs are SATA 6Gb/s) on your motherboard, grab a good PCIe 2X SATA 6Gb/s controller—it makes a huge difference. Our recommendation: Toshiba’s Q Series Pro 256GB. It’s almost as fast as Samsung’s top-dog 840 Pro, and we found the 256GB version online for only $200. It’s also the only drive we’ve tested whose performance doesn’t drop off in lower capacities. In fact, the 128GB version tested slightly faster than the 256GB model. Talk about messing up the curve. What was once state-of-the-art now won’t pull the cart. We’re talking CPUs here, and if an SSD doesn’t completely fulfill your need for speed, maybe adding a new CPU will. For the purposes of argument, let’s say that your PC has a Socket 1155 motherboard. (Older than that, read an older article...) That makes your best choice the Intel Core i7-3770K, which slips in just under the $300 mark and supports overclocking (running faster than spec) for even better performance. If you have an AMD AM3+ motherboard, make that an FX-9370 for around $200. 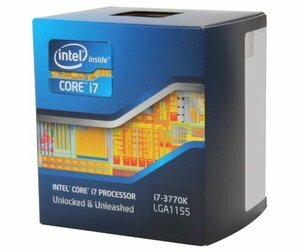 If you already own a Socket 1150 Haswell system, but Scrooged out with a Core i3 or Core i5 originally, opt for a fourth-generation Core i7-4770K. This upgrade is for gamers and photo/video-philes only. Even the lowliest integrated GPU is fast enough to handle the 2D graphics in everyday applications. For playing games at a decent resolution, however, you need a discrete graphics card from AMD or Nvidia. 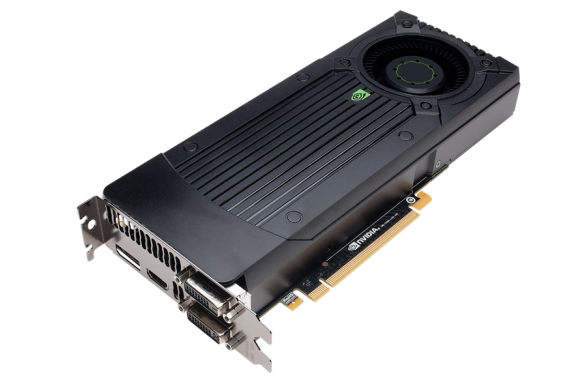 Combined with built-in Avivo or CUDA codec acceleration, a discrete graphics card can also speed the processing of video files—and with 4K video rearing its extremely bandwidth-hungry head, that’s not a bad thing. OpenCL support helps to accelerate photo rendering. You’re not going to get a state-of-the-art board for anywhere near $300, but the Nvidia GTX 760 is a great all-around card that will bring you most of the way there for about $250. If you’re an AMD diehard or if you want to save ten fivers, the Radeon R9-270X offers comparable performance for only $200. So maybe it isn’t your CPU or GPU that’s humbugging you, but your motherboard’s lack of USB 3.0, PCIe 3.0, SATA 6Gb/s, SLI/CrossFire (for multiple graphics cards), or even Thunderbolt. A new motherboard, given your ownership of a relatively recent CPU, will provide some or all of these faster technologies, and your computing life will be the better for it. You can find scads of motherboards out there, and it has been a while since we ran across a lemon, but you should stick with a well-known brand name. We have a fondness for anything Asus, Gigabyte, or MSI, as we’ve rarely encountered a problem with their products. Although it doesn’t offer the instantly noticeable performance boost of an SSD or a faster CPU, more and better memory allows your operating system to spend less time swapping stuff to disk and lets you keep more apps and larger files open. If you’re into video, you can’t have enough memory. If you took our advice and bought an overclockable CPU, then you’ll want overclockable memory. A lot of high-quality enthusiast-level memory is available out there, but we’ve had good luck with the Kingston 2400MHz HyperX Predator, which costs about $12.50 a gigabyte. Kingston also sells 2800MHz memory for about $32 a gigabyte if you really want to push the limits—and your budget. Hard-drive prices still haven’t returned to their all-time low of a couple of years ago, but they’re no longer the premium item they became just after the 2011 floods in Thailand. And you can now get 4GB in a single drive—just in time to hold all those 1080p movies you’ve been downloading. Hybrid drives didn’t live up to the hype, so we’re sticking with the traditional kind this year. Our pick of the litter is the Western Digital Black 4TB. Successor to the Caviar Black, the WD Black 4TB costs a pretty penny (about $220 at the time of this writing), but it spins at 7200 rpm, has a whopping 64MB cache, and carries a reassuring five-year warranty. It has also tested faster than just about everything in its class. You might, of course, opt for cheaper drives, especially if they will be playing second fiddle to an SSD. If you’re feeling adventurous or at risk, you could buy two drives and run them in RAID 0 for more speed or in RAID 1 for safety. Okay, no wireless setup will be as fast as wired gigabit ethernet, but you might find the latest generation, 802.11ac, to be fast enough for you to embrace a life without wires and switches. Under the right circumstances (802.11ac at both ends), the technology gets you about two-thirds of what you do with gigabit ethernet. As such, this upgrade means purchasing both an 802.11ac router and an 802.11ac adapter for your PC. Our recommendation on the router side is the Asus RT-AC68U, which bested all competitors in our recent tests. At $220, it’s pricey—but it’s also very fast. As for an adapter, start your search with the $70 Netgear A6200 USB 3.0. The noise-abater or overclocker in your life would love to find a liquid-cooling setup in their stocking. Liquid-based systems cool better than traditional air-only systems do—a real boon if we’ve talked you into overclocking, with its high thermal overhead. Although a liquid-cooling system’s radiator has a fan, chances are good that it’s replacing an existing case fan and is a whisper-quiet, top-of-the-line model. You might consider ornamental liquid-cooling systems with clear tubing and colored or UV-reactive fluid, if you’re into such things. You can pay a lot for liquid cooling, or cryogenics for that matter. 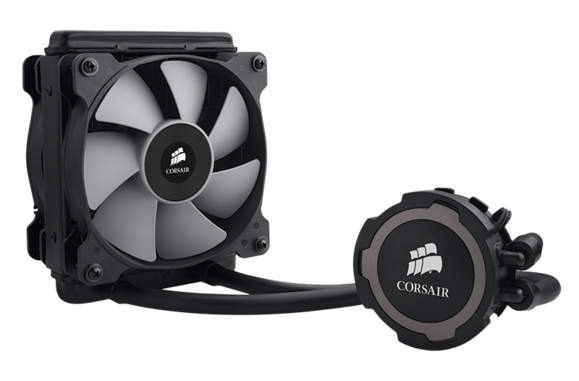 The truth is, most users will be fine with something modest, such as Corsair’s $85 Hydro Series H75 (consisting of a copper water block, a radiator, and a single 120mm cooling fan) or the same company’s $120 Hydro Series H100i (which has a dual radiator and two 120mm fans). Have Retina or 4K envy? Want to reach out and drag things about the Windows home screen with your fingers? A new display may be the upgrade you’re looking for. Alas, even the cheapest touchscreen 24-inch display currently exceeds our $300 limit, but you can find a nontouch 23-, 24-, or 27-inch 1080p model for less. A lot of good displays are available, but we’ve had particularly good results over the years with Dell models. You can pick up the company’s 23-inch E2314H for just $200. I’ll say it for you: Borrrrr-ing. Yet despite some users’ unbridled passion for touch, the fastest way to navigate and to input information on a PC remains the humble mouse and venerable keyboard. Moving up to models with more heft and a better feel opens a world of luxurious tactile sensations. Wireless models reduce cable clutter. Sold yet? Logitech makes many worthy keyboards, and some people swear by the Microsoft ergonomic models. But I say that if you can find an old IBM Model M, you’re typing on the best keyboard ever made. Peripherals editor Alex Cocilova recommends the Das Keyboard Professional Model S Mechanical Keyboard as much the same thing, sans the Model M’s rather high decibel level. Me? I live for the clack. Among mice, consider the svelte, wireless, $70 Logitech Ultrathin Touch Mouse T630. Although it’s designed for Ultrabooks, it’s a nicely self-indulgent choice. I just recently upgraded my PC case—to make it smaller. For only $50, I snagged a CoolerMaster HD 120, which resembles a breadbox but still has room for a full-size graphics card. Alas, going small means you’ll need a smaller motherboard, and then you’re sliding down the slippery upgrade slope. Then again, you’re probably not overly concerned about that if you’re reading this article. Tastes vary, but Corsair’s Obsidian series (for all the flavors of ATX) and BitFenix’s Prodigy and the CoolerMaster HD 130 (for mini-ITX) are good places to start looking. Note that you can reuse your old power supply to save a couple of bucks—if it’s modern enough. We considered making backup the number one item on the list simply because its presence will forestall the possibility of heartbreaking data loss in the new year. Tiny Tim heartbreaking. Tears. Anguish. Really. If you want local backup, buy a hard drive with the fastest interface technology your system supports: Thunderbolt, eSATA, USB 3.0, FireWire (fading from the scene), or USB 2.0, in that order. If backups don’t happen quickly, you’ll soon tire of the process. 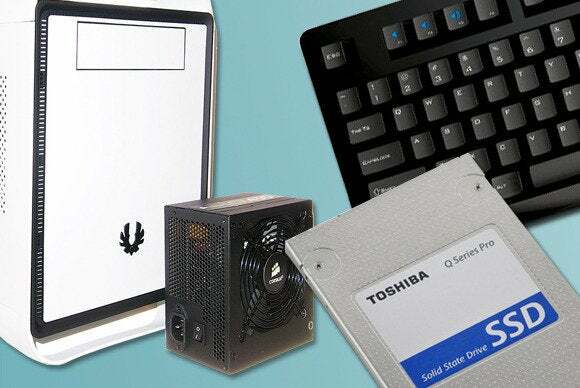 LaCie, Seagate, and WD all make competent external drives, and all of them include backup software, though Windows itself provides everything you need. You might even consider a NAS (network-attached storage) box, which has other features you might muck about with on Christmas morn, and can also serve to back up multiple PCs and devices without your having to drag it around. Add (or opt for) online backup if you want an easy gift; figure on paying $50 a year for the service. If that seems expensive, think about the minimum of $700 that recovering data from a hard drive costs these days—if it can be done at all.